I don’t get asked over to other people’s apartments for dinner that often. And especially not by my secret friend crushes. 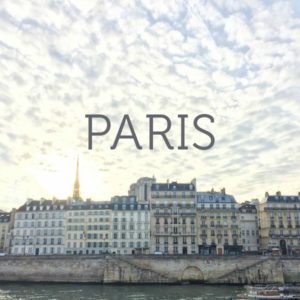 But a few weeks ago, the universe sent some magic my way, and I found an invitation in my inbox from Julia Turshen. 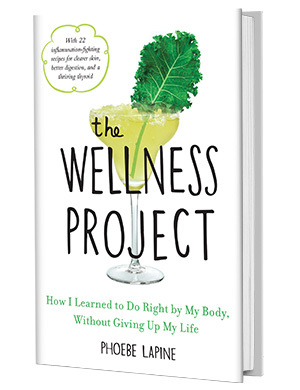 Julia and I have a similar freelance, cobbled-together career, except that everything she writes is featured in way better publications, and everything she cooks is served to way cooler people. We’ve run into each other a bunch of times around town, and needless to say, I’ve been crushin’. Hard. When the email arrived, I wanted to make a good impression. So, like any polite guest would, I asked the logical question: white or red or tequila? Be still my heart, she chose tequila. The next day I was on a mission to find the perfect tequila cocktail that required just a few ingredients, and was easy to assemble on site. 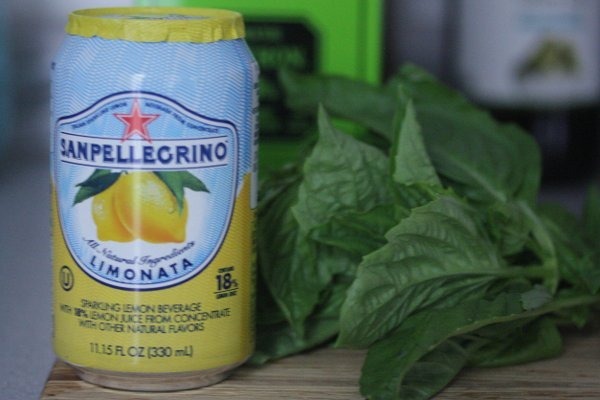 I came across this Patronata recipe on Food52 – a simple combo of silver Patron with San Pellegrino Limonata – and knew I had found it. 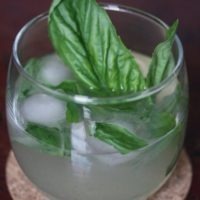 Since I didn’t want to inflict this drink on my dinner dates without making sure it was Tasty with a capital T, I mixed myself a little sample before I walked over, adding some muddled fresh basil to make it my own. It produced a very delicious drink, and also a very drunk Phoebe. Like the start of any good first date, I arrived on Julia’s doorstep rosy-cheeked, giggly, and inhibition-free. Luckily, after another few rounds, Julia and Cleo were in a similar state. Conversation abounded, sparks flew, and the next morning we all woke up as newly minted, and very hungover friends. Did I mention it was a Wednesday? I recommend saving the “white or red or tequila” card for a weekend night. If your host makes the right choice, as mine certainly did, try out the Patronata on your new bestie. Just remember to take a few Advil with you as well. Fill four tumblers with ice cubes. Divide the tequila between the glasses (1/4 cup in each). Top with the limonata and water or selzer. 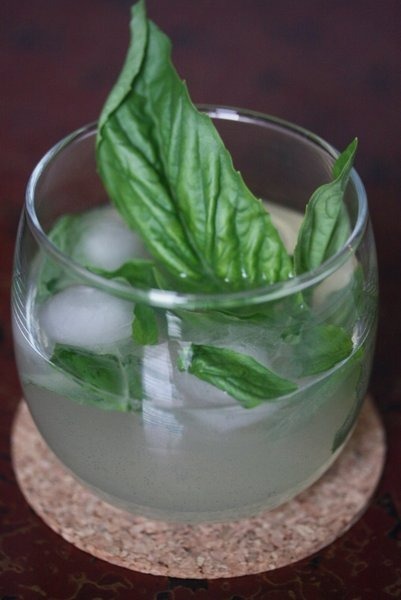 Coarsely tear half the basil leaves and divide among the glasses. Stir well, muddling the basil as you go. Garnish with the remaining basil leaves and enjoy. Just in time for “grown-up” Cinco de Mayo! Thanks, Phoebe! 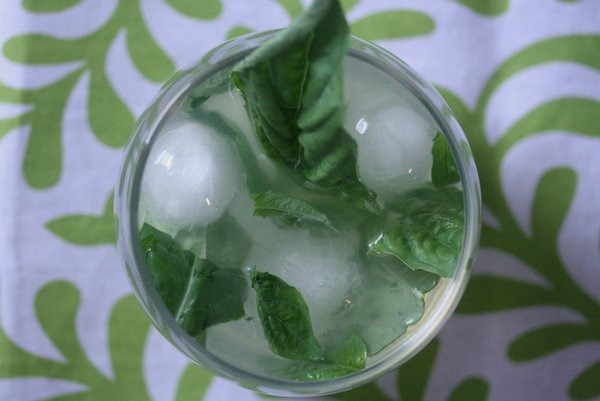 Adding basil – sheer genius.